Direct gulf views from your private balcony awaits you for our beautiful sunsets. Our comfortable studio condo has been recently updated with all new furnishings, fully equipped with 1 queen sized bed and a queen sleeper sofa. Come lounge and rest by the heated pool or enjoy drinks at our tiki-bar. Private vendor right there to rent paddleboards or kayaks. 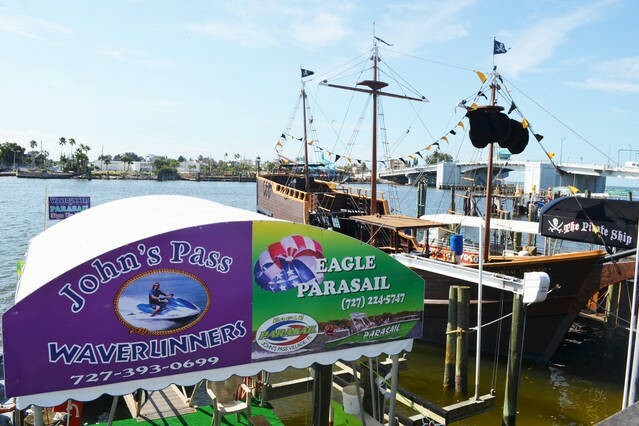 Convenient access to beach shopping, restaurants, and fishing charters. Amenities: Cable TV, (Internet WiFi upon request) full kitchen including; dishes, utensils, refrigerator, two burner stove top, microwave, etc. Sleeps 2-4.washer & dryer on site, linens, towels, beach towels provided. Onsite provides outdoor grill and patio area for dining....and of course the beach !! Sun Coast beach trolley available to take you from St. Pete Beach to Clearwater Beach daily with unlimited stops for one price. Visit the Clearwater Marine Aquarium to see Winter the dolphin from the movie Dolphin Tales. A convenient drive to Florida's major attractions- Disney, Busch Gardens, Sea World, Island of Adventure, Lego Land. 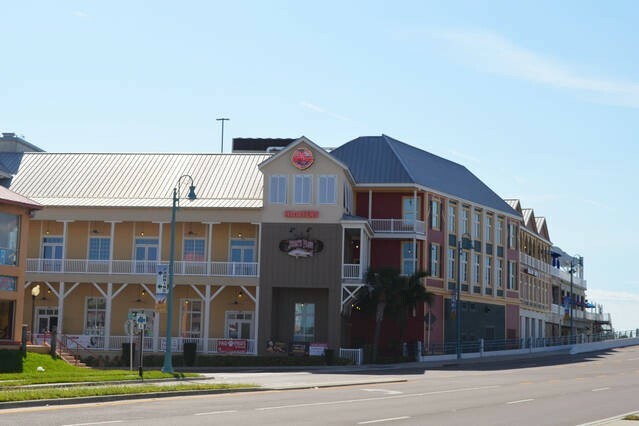 Visit nearby John's Pass Village and boardwalk for beach shops, restaurants and water rentals. 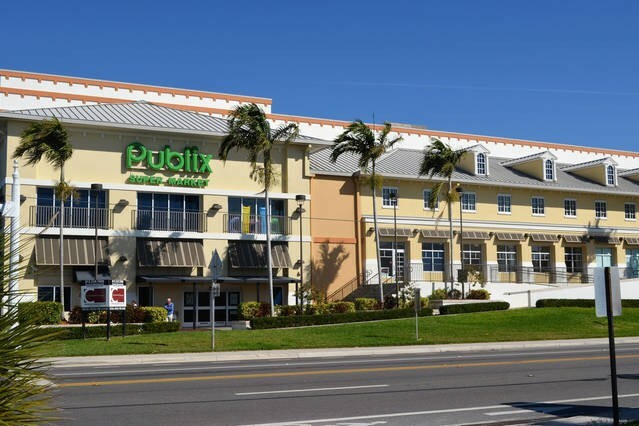 Visit nearby Downtown St. Pete, along Beach Drive for fine dining, cafe's, shops, beautiful marina, and water views. Downtown offers museums like Salvador Dali, Chihuly, and Holocaust. Treasure Island is a perfect location for visiting all different venues--beach, amusement parks, downtown cultural experiences... You will go home feeling satisfied. Please contact me with information regarding Island Inn 601. My wife & I came to celebrate our one year anniversary for a long weekend and enjoyed our stay very much! The view is incredible and the unit had everything we needed. We loved being on the top floor so we could see everything for miles. The staff at Island Inn were great too. Cant beat the value for the great stay we had. Thank you for having us! "This place was perfect. Great view from the balcony. Pool area was really fun with a tiki bar. Would definitely come back!" "My wife and I had an absolutely great time here. The room was clean and decorated nicely. The view is absolutely amazing. I was impressed that Sancastle Realty gave us a courtesy call on our way. The pool area is pretty nice and the beach is gorgeous. Lots of wonderful places to eat nearby. We loved the VIP, Shrimpey's, and Dead Bob's. I would highly recommend this location and would definitely stay here again!" Cozy studio with the most incredibly and beautiful view of the beach, ideal to enjoy romantic sunsets on the balcony. It has everything you may need in good working conditions (fridge, stove, air conditioning, pots, pans, cuttlery, etc). Perfect for 2 or even 3 guests as the sofa can be made into a double bed. Confortable parking and great location near supermarkets, bars, etc. Staying here enhanced our visit to the area. Great location. Loved gulf view from patio and beach access. Review #16618352 "ISLAND INN- GULF FRONT STUDIO"
We couldn't have been happier with the unit. Top corner, with views of both Bay and Gulf. Stunning.... I couldn't help but to catch my breath as I left or returned. Staff was quite helpful in recommendations. Our trip was quiet and scenic. Overall just perfect for the two of us , beautiful AND just what the doctor ordered. Thank you! Great week right on the beach. Renovated private room. Furnished to high standard but thought they were done with the roof? Made coffee on the terrace impossible. Free lobby coffee taken to the beach helped make up for it. The room was clean, staff were friendly,. It all added to a great vacation. Thanks. We would stay there again!! The room also had everything we wanted.